It has been an exciting week (for me) here. 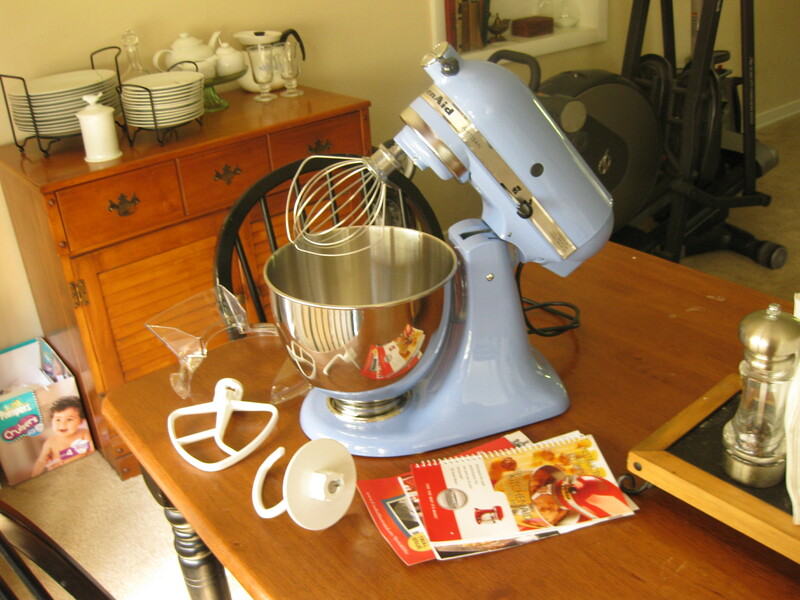 I received my much desired Cornflower Blue KitchenAid stand mixer!! It was an early birthday gift from my Nana. She knew I wanted one, as we discussed it at my brother’s birthday earlier in the month. I had mentioned that they had been on sale the week before, so we checked to see if it still was (is wasn’t 😦 ); so she told me to keep an eye out for the next time it was on sale anywhere and she would give me a check for it then. I was soooo excited!! I have wanted this exact one since…I don’t know when, but I wanted it! With all the cooking and baking I do for the family, it was only going to make my life easier. Well, over the last few weeks I had been religiously checking for this coveted item to be on sale. On Father’s Day I struck Gold! I found it on sale, with Free shipping! WooHooo! We were going to lunch that day at Nana’s, so I could tell her about it then. The perfect combo of two delicious desserts! While the recipe calls for the Store-bought Nilla wafers, I opted to find a recipe for them and make them fresh. This is why I LOVE Pinterest. It makes it so easy to find a recipe for something, and has fast become my go-to for ideas 🙂 I quickly found the recipe and whipped up the cookies and then set about making the cupcakes. FYI, after making them, I decided that making the filling first (after the cookies) would have been the best way to go about making all of the various pieces of this cake. It has to cool completely before using. These cupcakes are delicious! They are everything I was hoping they would be. They smell divine while baking. The cake is something like banana bread but sweeter and more tender. 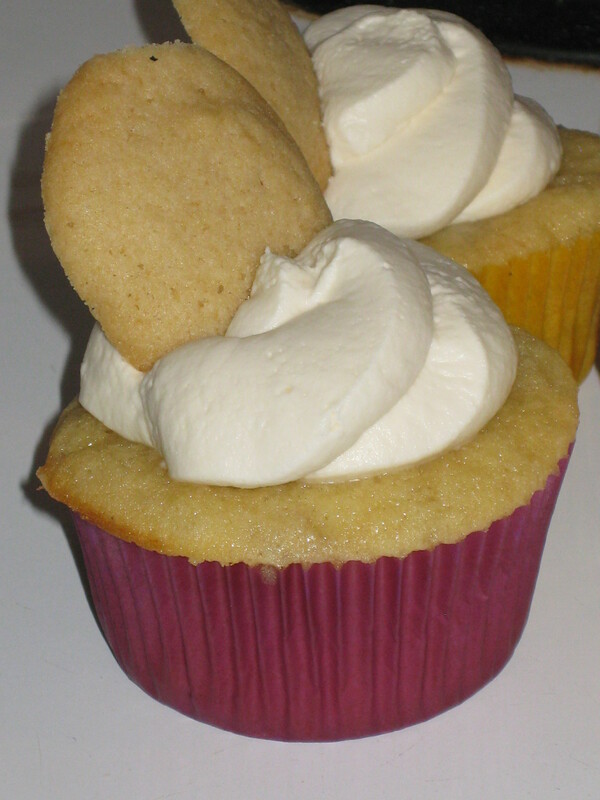 With the addition of the banana curd filling and whipped cream topping and the cookie…OMG….I was in Heaven! Definitely a delightful twist on a classic dessert, and I think would be a hit at the next Summer barbecue 🙂 A word of warning….These are addicting…Friends will be asking for the recipe, asking for you to make more, even offering to buy the things needed to make more, just so they can shove their faces full again and again. Yeah…they are that good. Hint: these need to be refrigerated, and they are super this way as well as freshly made. For more finger-licking deliciousness…Stay Tuned….